Comments Off on Great Deals on the MPP iBond 5000! 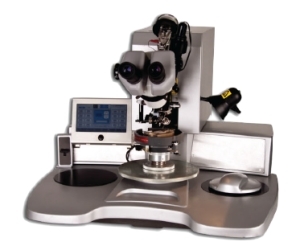 If you are in the market for an advanced ball/wedge bonder, then we’ve got good news for you! We are offering great deals on the Micro Point Pro LTD (MPP) iBond 5000. NDC International represents the MPP line of manual wire bonders in the USA, Mexico and Canada. The long-time leader in wire bonding technology, K&S recently sold the Manual Wire Bond business unit to MPP. The iBond 5000 Series is the newest line and is based on the 4500 Series which was a market leader for over a decade! The iBond 5000 is an advanced ball/wedge bonder used for process development, production, research or added manufacturing support. iBond 5000 provides the high yield and excellent repeatability needed for every wedge bonding application including Optoelectronic Modules, Hybrids/MCMs, Microwave Products, Discrete Devices/Lasers, Chip-on-Boards, Leads, Sensors, High Power Devices and much more. The MPP iBond 5000 main control board is based on Cortex A9 Dual core CPU that runs at a speed of 1GHz. The operation system is Windows CE based and the system is controlled using a 7″ 600X800 TFT touchscreen. The system enables you to save and load profiles; it comes with factory pre-configured profiles to ease usage. For more details and to download the spec sheets, click here. MPP has authorized us to give great deals on the iBond 5000 now through the end of the year. •	Buy by December 31st to take advantage of this promotional pricing. •	Competitor trade-in’s will also be accepted – any brand! Contact Kevin Hartsoe at (215) 355-2460 to learn more about the iBond 5000 and our great deals!